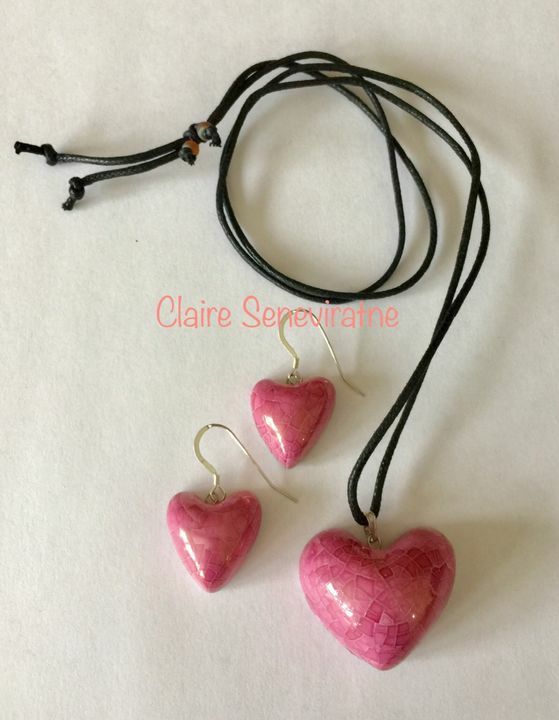 Claire Seneviratne - Ceramic Artist: Pink heart pendant and earring set. Pink heart pendant and earring set. These pink hearts are made from porcelain and have been fired in my kiln with glaze and pink lustre. The heart pendant is attached to an adjustable cotton cord. The heart earrings have sterling silver wires. Height of the heart pendant is approximately 2.5cm and the width 3.5 cm. The height and width of the heart earrings are approximately 2cm.